In the aftermath of the Civil War, an unlikely alliance was formed between the makers of pianos and the manufacturers of sewing machines. Both were products widely used by women at home, both were widely seen as triumphs of American engineering and industrial enterprise, and both could be had for a roughly similar price. G. E. Van Syckle Co. of Bay City, Michigan, manufactured both, and itinerant sales representatives in far-flung rural districts frequently carried both in their wagons. Further east, a firm in Connecticut, spotting a gap in the market, made a combination sewing-machine and melodeon. 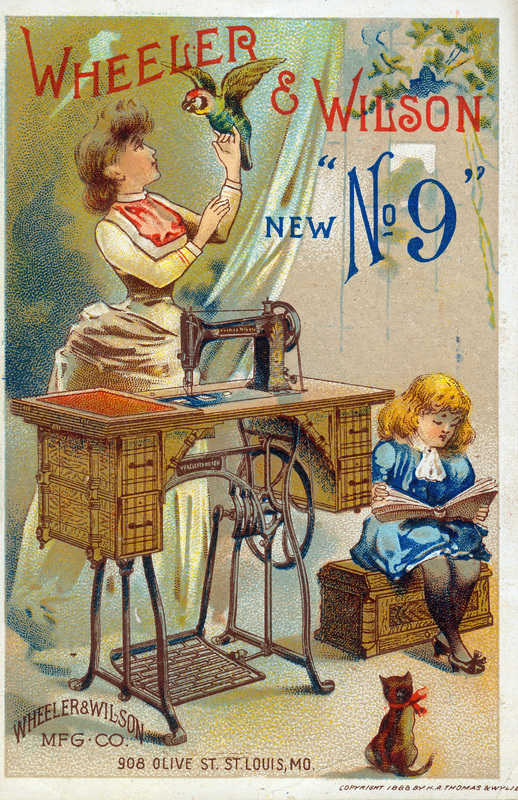 There was even a publication, launched in 1880 and entitled The Musical and Sewing Machine Gazette. This entry was posted in Uncategorized and tagged 1860's, 19th Century, Music, Technology, Textiles, USA, Women. Bookmark the permalink.